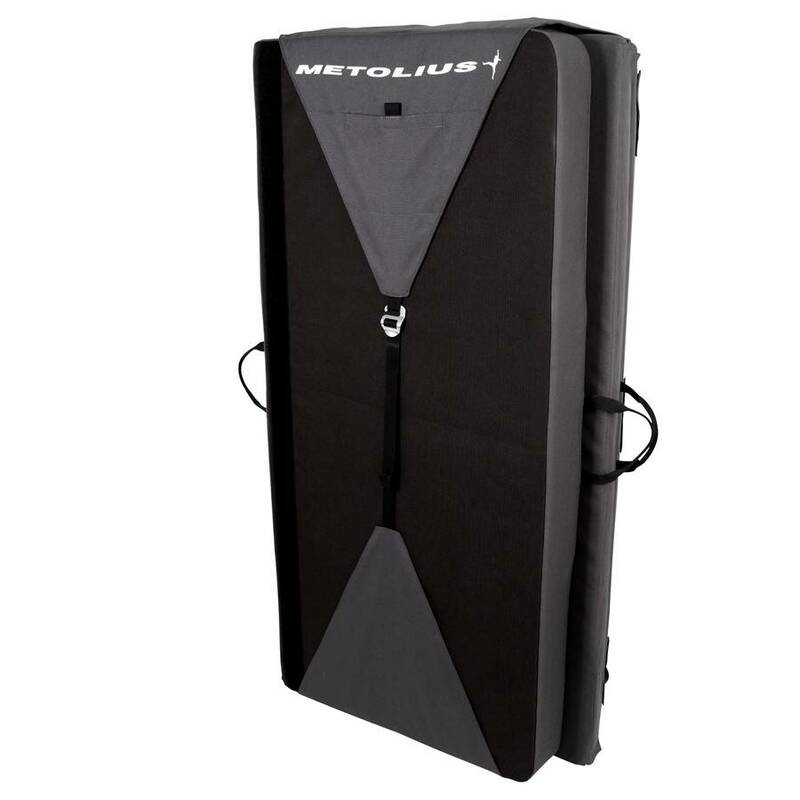 The Metolius Recon Crash Pad folds small for easy transport, but when opened it offers more landing area than standard-size crash pads. Sandwich foam design for maximum impact absorption: 1" (25 mm) closed-cell top layer, 2½" (60 mm) open-cell center, and ½" (15 mm) closed-cell base layer. Angle cut hinges eliminate the gutter found in other designs. Small external stash pocket and larger inner pocket for shoes, chalk bag, etc., plush padded shoulder straps, dual sets of drag handles, and aluminum buckles that are guaranteed for life. Closure flap reverses to cover shoulder straps while the pad is on the ground.